Good old Mean Machines Sega. I pulled them out with the intention of listing them but then spent about 3 hours reading over them for the first time in over 20 years. It's quite amazing how many great games were in a single issue. 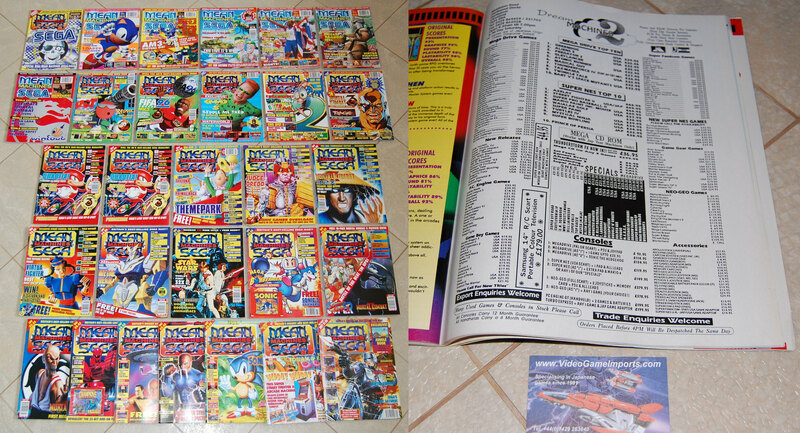 Thumbing through the very first issue, I noticed our advert (see picture), back when we were Dream Machines 2. Talk about bringing back old memories... crazy days! Note interesting titles in our MegaDrive Top 10: Gleylancer and Twinkle Tale! See, we actually guided our customers towards good games... we sold tons of them back in the day but where they hell have they all disappeared to? I wish we could get new copies for those prices now!